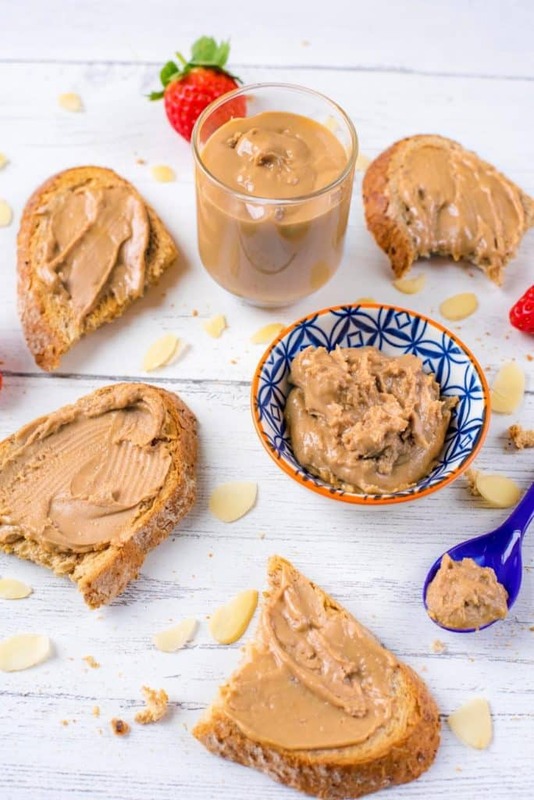 Homemade nut butter is so easy to make and if your family can get through a jar like it’s going out of style, then this will save you a fortune too. 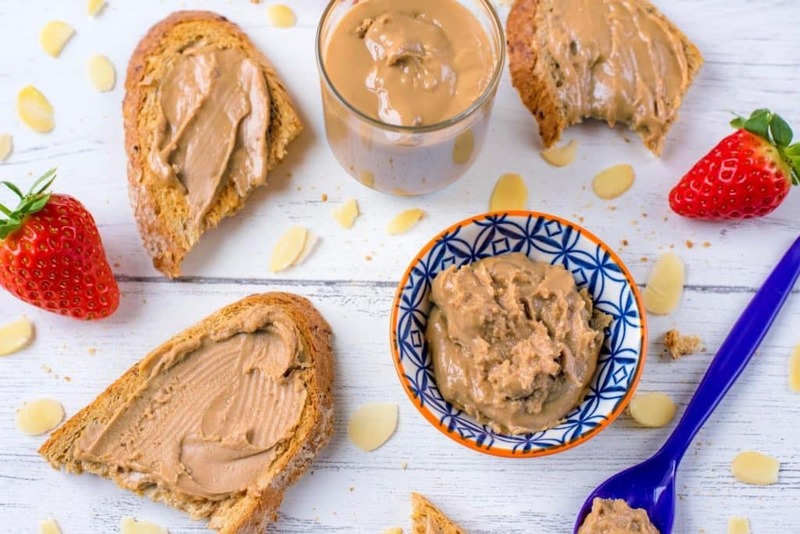 Try our Honey and Vanilla Almond Butter for a twist on classic nut butter. 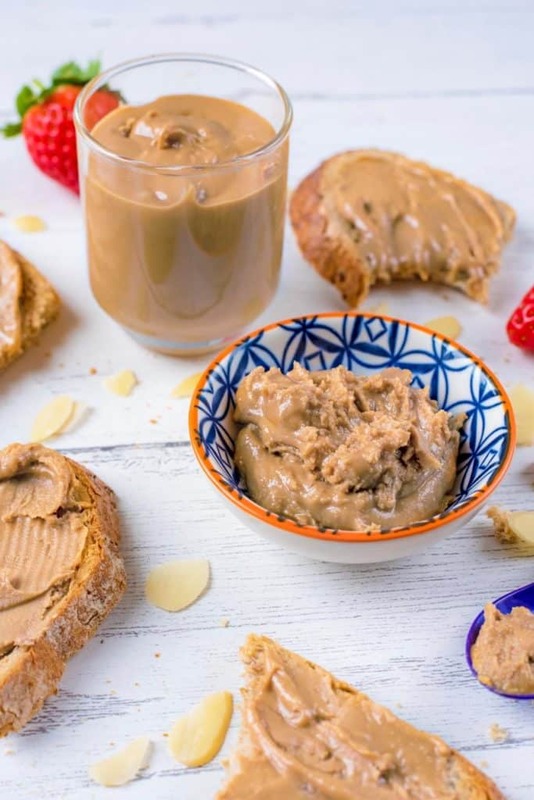 A lot of nut butter on the supermarket shelves has a lot of added salt and sugar, whereas this recipe has just a touch of honey and a pinch of salt to add a lovely sweet and salty combo. Just a quick warning, you are not going to be able to control yourself around a jar of this. On toast, in a smoothie or just straight out of the jar. 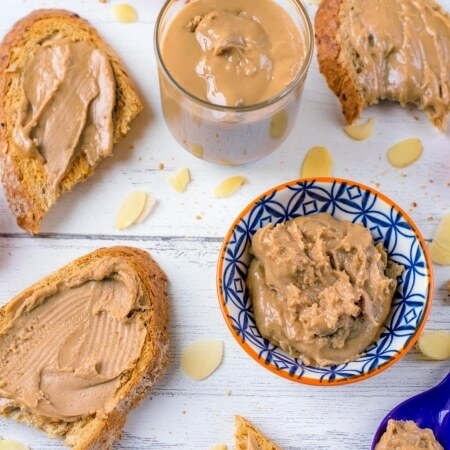 Homemade nut butter just got even better. Do you want to be kept up to date on more delicious and healthy recipes like these Chocolate Cupcakes For Two? Please subscribe to the blog mailing list (it takes 30 seconds). You will get sent the new recipes straight to your inbox. Your email address won’t be passed on to anyone and you will never be spammed. I will admit, I was a bit late jumping on the almond butter bandwagon a few years ago. I’d had peanut butter, but it was never a huge part of my diet. I just don’t really like peanuts. Now, almonds. I LOVE almonds! Some people have to put sweets and chocolate at the top of their cupboards out of easy snacking reach, well I have to do the same with almonds (to be fair, chocolate too). I could snack on them all day long, and whilst they are great as part of a healthy diet, eating too much of anything can tip you over the edge. I was pretty excited when I saw almond butter in a health store a couple of years back, but I was less excited when I saw the price. Peanut butter is pretty cheap, which is why students practically live off it, but almond butter is a different story. Did you know that you can make it yourself for much cheaper? It’s also much easier than you think to make it, and you have the added bonus of being able to add in different flavours, like this Honey and Vanilla version. I was amazed at how easy it was to make almond butter and wondered why I had been buying it for so long. It’s JUST almonds – in a food processor. But then you can add some many different flavours to it! I have been making it for a few years now and I have not looked back. I have also experimenting with other nut butters too. Hello pecan and walnut butter! Have you tried our Cinnamon Pecan Butter? Here is the deal with homemade nut butters. You will have to have your food processor on for 15 minutes – I spent most of this time staring at it in amazement going round and turning into butter (yes, I need to get out more). At first, it won’t look like it is doing anything expect churning round powder. Then, after 5 minutes, it still won’t look like it is doing much. Then, after 10 minutes, it will start clumping together, but still not looking much like a butter, but let it carry on and it WILL turn into a butter texture – trust me. You might have to stop the food processor and scrape the sides down a few times, but it will all come together. If you have a high powered food processor that is. That’s the other slight snag with this recipe – a cheap food processor just won’t cut it and trying to make this in it will burn it out. A high powered food processor is a must in any kitchen I think, and definitely needed if you want to make your own nut butter. 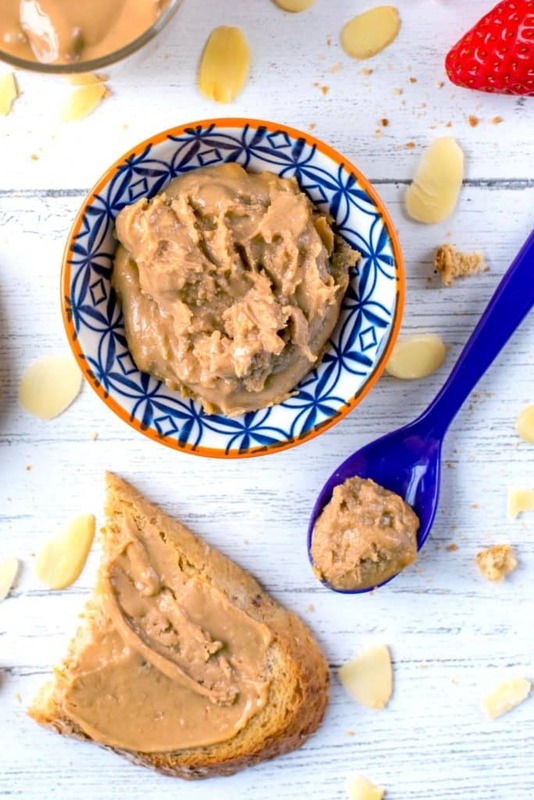 And who doesn’t want to make this delicious Honey and Vanilla Almond Butter? 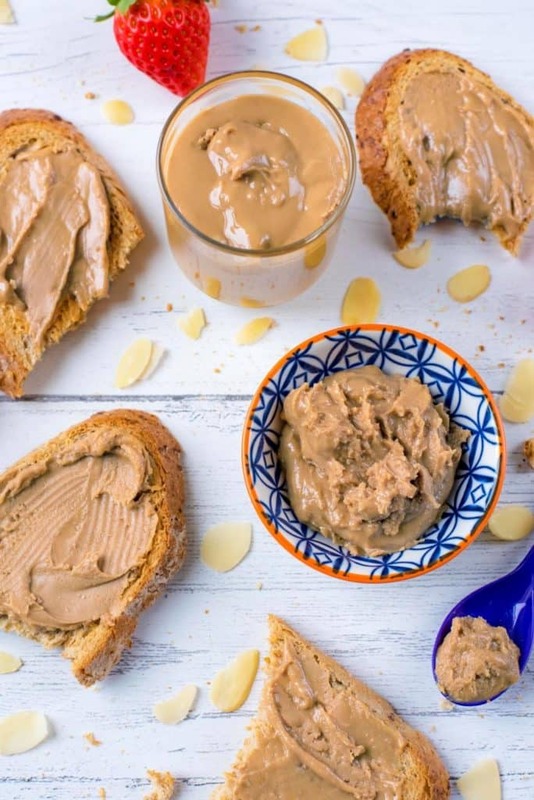 Homemade nut butter is so easy to make and if your family can get through a jar like it’s going out of style, then this will save you a fortune too. Put the almonds in your food processor (using the S blade). Turn it on and set a timer for 15 minutes. After about 10 minutes it will start to clump together. If it starts rising to the top and sticking to the sides, turn the processor off and use a plastic spatula and scrape the sides down. And then turn it back on. Leave to mix for another 5 minutes (sometimes it needs a few more minutes) and it will turn into a butter texture. Put in a jar and store in the cupboard. Take a look at some other nut butter related recipes from the blog: Chocolate and Peanut Butter Oat Squares, Maple Cinnamon Pecan Butter or Banana and Almond Butter Stuffed French Toast. This home made butter looks more lush than the store bought one. The extra additions make it more desirable. I love that you added vanilla for extra flavor! Homemade is always best. 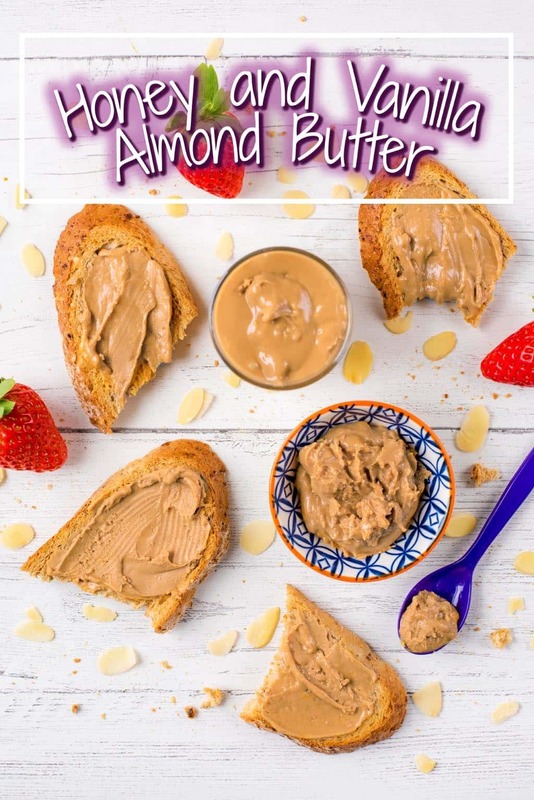 This almond butter sounds absolutely delicious! This sounds SO good, I think I would just eat it with a spoon!! A little bit of cocoa powder in this would be amazing too. I love nut butter, but I have never had a flavoured version. I can’t wait to try this! I didnt realize how easy it was to make almond butter. I will def be giving it a try. Thanks for sharing! Yess, Almond butter is amazing. First, I just bought it. Then, when I came to get a high tech food processor I made… almond butter. An now, I enjoy it with some Vanilla-Extract and a pinch of sea salt, sometimes I add some agave syrup :), so, thanks your your ideas :). Mmmm, I love all forms of nut butter and this sounds utterly delicious with the honey and vanilla. I’m drooling. Would you believe I have never tried almond butter? This looks amazing – I bet my family would love to try this so I will have to make it!